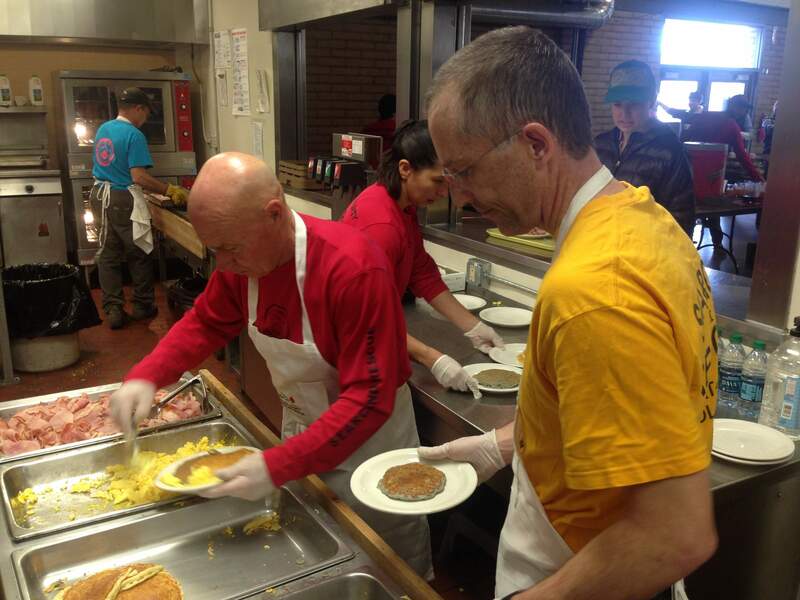 Randy Gerken, left, and Jay Swan help serve up dishes at the annual La Plata County Search and Rescue Pancake Breakfast held during Snowdown weekend on Sunday. As of 10 a.m., about 650 people had bought tickets to the breakfast, which lasted until noon. An event organizer said 750 to 800 people normally show up when all is said and done.